The Aquasana AQ-RO-3 OptimH2O reverse osmosis is a compact under sink filter system that will produce about 36 gallons of pure water per day. The actual amount of water that will be filtered per day is, like every other RO system, dependent on the inlet water pressure and temperature. The AQ-RO-3 OptimH2O is advertised as a 3 stage filtration system which suggests it has less filtration than 7 or 5 stage filtration systems, but this is not the case. The AQ-RO-3 combines some of the features that other systems use 2 stages to carry out. The system removes over 95% of fluoride and mercury along with 97% of chlorine and arsenic and 99% of lead and asbestos. The data sheet from Aquasana detailing all the contaminants removed can be found here. After the water has been filtered by the system, the water then goes through a final stage to re-mineralize it. This remineralization stops the water from having the RO “taste” and makes it taste more like natural water. This is achieved by raising the pH value from slightly acidic to more neutral. The AQ-RO-3 OptimH2O system comes with a 90 day satisfaction guarantee. If within the first 90 days of purchase you are unhappy with any aspect of the system, Aquasana will refund the purchase price. In addition, there is also a 2-year warranty on defective parts or workmanship. 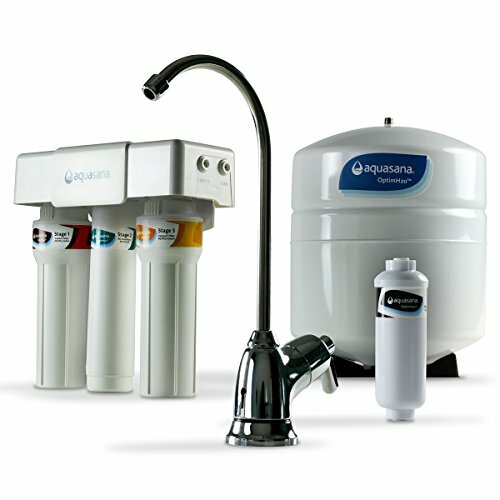 NOTE – some sites suggest that the system has a 1 year warranty but it does have an Aquasana 2 year warranty. See here for details. This system has a manifold to which the filter and membrane housings are attached. The remineralization unit is then attached to the side of the filter manifold. The system uses filter housings, that twist off to reveal the replaceable filter elements. Every RO system produces an amount of waste water for every gallon of pure water. Typically, with most of the systems, this can be between 1 and 6 gallons of waste for every gallon of pure water that is produced. The waste water is used to flush impurities from the RO membrane and the amount wasted varies from system to system and the pressure of the inflowing water – the greater the pressure the less waste. 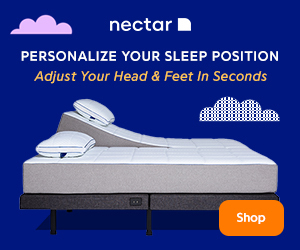 Aquasana uses a different method for informing users of the efficiency of their system. In the documentation the system is said to be 17.91% efficient or in other words, for every 5 gallons of water that are used just under 1 gallon of pure water is produced. This water efficiency also applies to kitchen faucets here. The greatest difficulty with installing this system is in installing the outlet faucet if there is not an existing hole in the sink or work surface that you can utilize. With most RO systems, only a ½ inch or 3/8 inch diameter hole is needed for the faucet. The AQ-RO-3 OptimH2O includes an air gap faucet, s0 a hole of 1 ½ to 1 5/8 inch diameter is needed. This may present a problem for DIY installation. If there is already a suitable hole for the faucet, the installation is very straight forward and can be carried out by anyone with reasonable DIY experience. The manual is quite detailed and explains all the steps. Click the link for a copy of the AQ-RO-3 OptimH2O installation manual. The main drawback with this system is the large diameter hole that is needed to mount the faucet. The 1 ½ to 1 5/8 inch diameter hole is too large for many DIY installers to drill through the counter without buying additional tools. During the AQ-RO-3 OptimH2O system review, many positive features were found. If fluoride is a concern of yours, the efficient fluoride removal will be a definite plus point for you. Add to that the fact that this is probably the least costly system that will remineralize your water to make it taste better and reduce the acidity. The manifold design of the system keeps the amount of flexible tubing that is used to a minimum, which makes the unit installation look tidier and lessens the risk of the tubes getting caught by anything else that you store under the sink. The complete unit is very competitively priced and provides good value for the money. The negatives of the system, which may well not affect you, need to be weighed against the cost of having a system that produces mineralized water at the low cost of this system. The Home Master TMAFC Artesian system (for example), produces mineralized water and has a greater output but costs about 80% more than the AQ-RO-3 OptimH2O.